You may have seen that I have been utilizing unsweetened almond milk as a base for my smoothies of late. I find that it functions admirably with most foods grown from the ground quite impartial in taste. I am somewhat more mindful of ordinary bovine's milk as it can some of the time cause a stomach response for me when blended with specific natural products. Up until this point, almond milk is by all accounts fine thus I am staying with it. I had some solidified pieces of pineapples left in the cooler which I needed to go through. Blending it with banana and almond milk makes it somewhat "milder" and simpler on the sense of taste, particularly in the mornings. As a matter of fact I truly like the manner in which it turned out. It was a decent lift me-up for the morning that is refreshingly tart yet not excessively so. Love the shading as well! 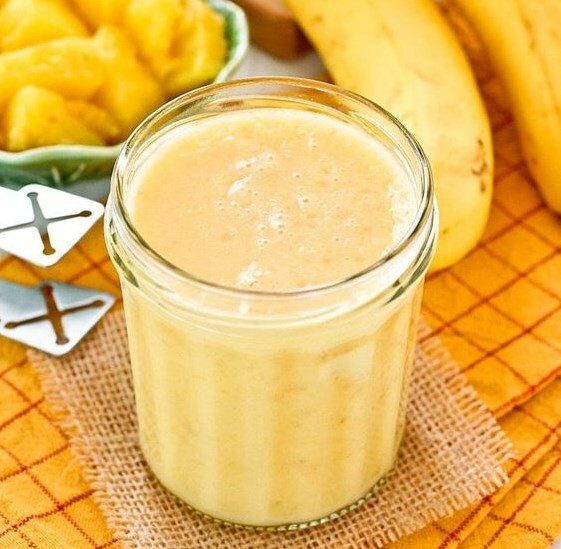 Combine pineapple, banana, and almond milk in a blender. Visit bit.ly/2X3KAwB for full instructions.